All police procedurals are the same at core. Each has a setting, a crime, police, obstacles, and a resolution. The difference lies in how the best authors make these elements hang together. 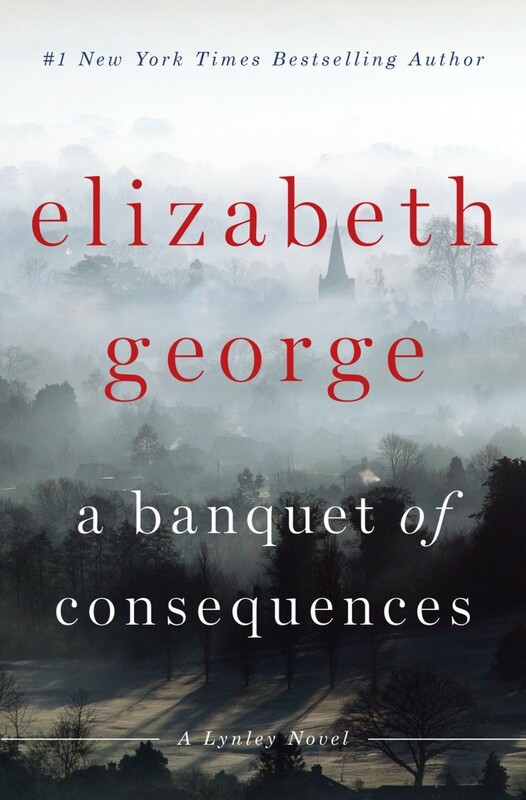 A Banquet of Consequences, Elizabeth George’s twentieth Inspector Lynley and Sergeant Havers novel, provides a banquet of delights for the reader and proves that she is at the top of her game. From the first page, the setting and finely drawn characters lure us into a web of relationships, illness, deceit, and murder. Detective Sergeant Barbara Havers has been reined in and her off-the-cuff, full-steam-ahead style muted. Detective Superintendent Isabelle Ardrey has hung the Sword of Damocles over her head in the form of a completed transfer to Berwick-upon-Tweed if she steps out of line again. The transfer needs only to be dated and Ardrey is looking for the slightest indiscretion to move Havers into a police backwater. Risking Ardrey’s wrath, Detective Inspector Lynley argues that Havers should be put in charge of a murder investigation to prove her worth. 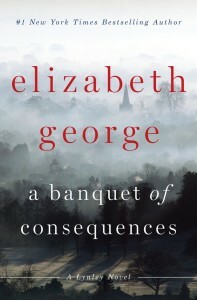 This may be George’s most byzantine plot, and it takes considerable introduction of the principal players to set the scene and its ensuing conflicts. The new characters, on whom the plot hangs, are an interesting bunch. Clare Abbott is a feminist writer who has secrets from her editor, Rory Statham. Caroline Goldacre joins these two women as a housekeeper then personal assistant to Abbott and inveigles her way into Abbott’s life. Goldacre’s second husband and her two sons from a previous marriage and their relationships figure prominently in the reason for the murder that ensues. Our old friends — DI Lynley, DS Havers, and DS Ardrey — are reintroduced in such a way that a newly-arrived reader will comprehend the permutations of their relationships. Even so, one wishes that the editing could have been tighter, the verbiage more succinct. The story does seem to ramble along, giving more information that is necessary. The estranged wife of one of the brothers looks through his kitchen cabinets in search of food and we are treated to a description of everything therein. Yet, the reader will be sorry for it to end. Of course, the murder will be wrapped up; it always is, but with a significant twist this time. The best news is that all of the myriad loose ends have not been resolved and new possibilities have been opened, giving promise of a future Lynley and Havers novel.